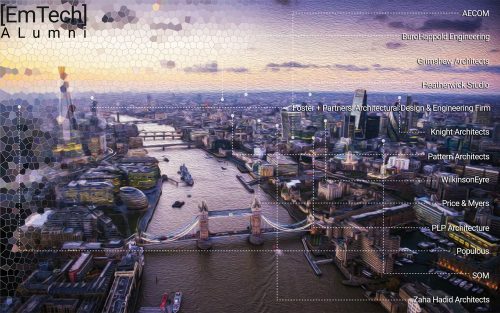 The city of London has a very strong architectural, engineering and art scene, offering a variety of events, talks and exhibitions related to the topics investigated in the Emergent Technologies and Design programme. Playing an active role in this scene, EmTech organizes a series of lectures by practitioners from the leading offices of London, with which we share a very strong relationship, while they are also invited as critics in the studio presentations. This enables our students to have a direct relationship and contact with the professional life of London, an advantage which is expressed by the large number of EmTech alumni that work in leading practices of the city of London. EmTech graduates take on various professional opportunities after graduating from the programme. Some of the recent employers in London and around the world include: Foster + Partners (London), KPF (London), Heatherwick Studio (London), Grimshaw Architects (London), Robofold (London), Zaha Hadid Architects (London), Buro Happold (London), AKT II (London), OMA (Rotterdam), UN Studio (Amsterdam), Wilkinson Eyre Architects (London), Ron Arad Associates (London), AHMM (London), Arup (London), PLP Architecture (London), Coop Himmelblau (Vienna), AECOM (London), Populous (London), Pattern Architects (London), SOM (London), SHoP Architects (New York) amongst others. Some of our graduates continue to teach at the AA and other schools internationally, while others continue their research through a PhD. 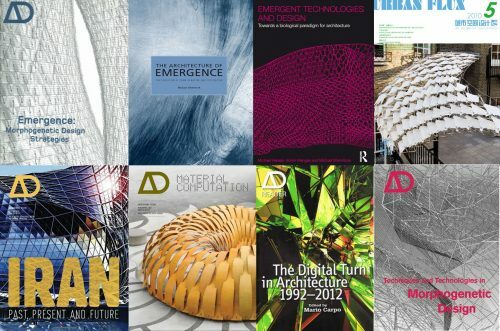 The institutions EmTech alumni have and currently are pursuing PhD’s include: Architectural Association (AA), Die Angewandte (Innochain), ITKE – University of Stuttgart, ICD – University of Stuttgart, University of Bath, ETH Zurich, RWTH Aachen, University of Cambridge, Technion – Israel Institute of Technology.